How would you like your home to smell like a bookstore? Or the Mad Hatter's tea party from Alice in Wonderland--maybe the Shire from The Hobbit? 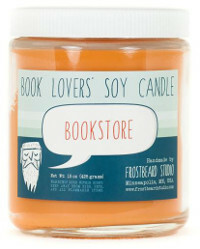 We have a large variety of Frostbeard Studio's literary soy candles that can make your book-scented dreams a reality.